Are you creative? Do you have good people skills? Studying to get your professional or Career Courses certificate with us may get you started on a good career. This is Cambridge College London (CCL) Online Courses Details. 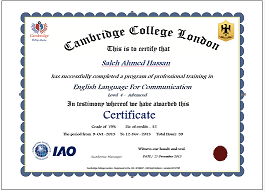 2- Cambridge Diploma in English Language.